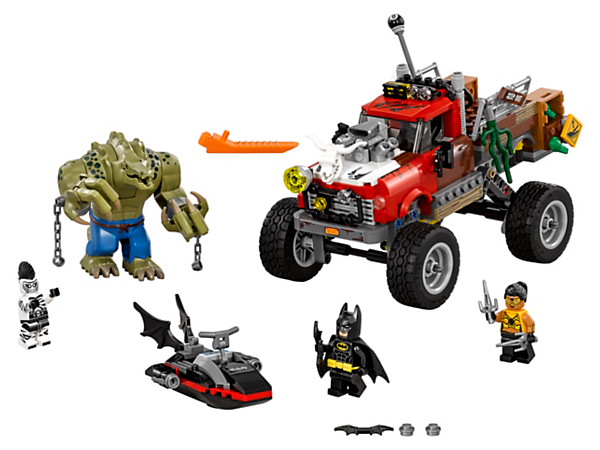 Includes 3 minifigures: Batman™, Zebra-Man™ and Tarantula™, plus a Killer Croc™ big figure. 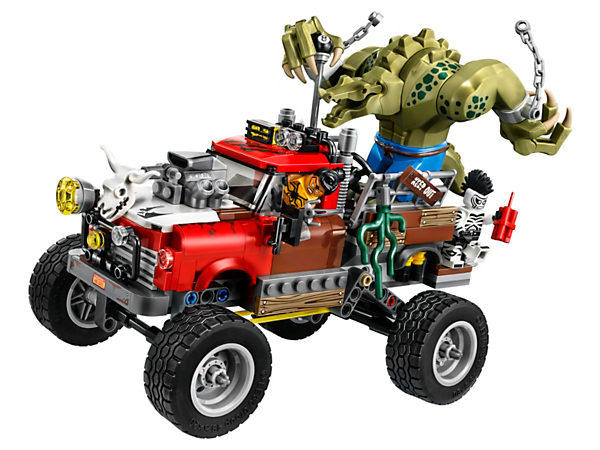 Killer Croc’s Tail-Gator features a driver’s cabin with space for a minifigure, huge wheels and rubber tires, suspension, two crate bombs and translucent light-style elements. 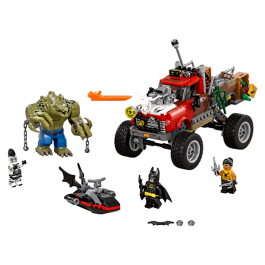 Killer Croc™ features a posable head with snapping jaws, posable arms and wrists, and hands with gripping fingers. Weapons include Batman’s Batarang and Tarantula’s two sai. 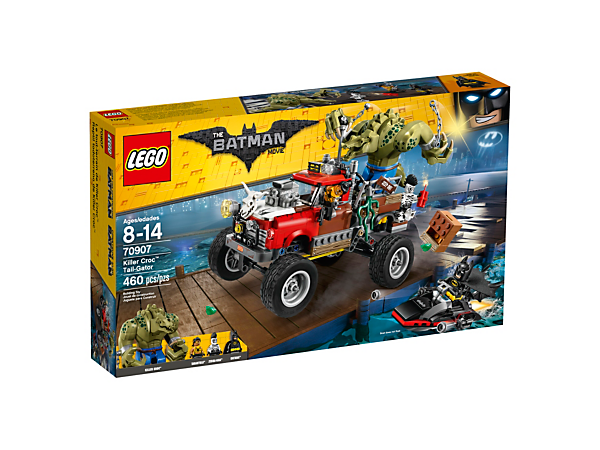 Accessory elements include Batman’s cape and new-for-spring-2017 molded utility belt, and Killer Croc’s chains. Tail-Gator measures over 5” (15cm) high, 7” (20cm) long and 4” (11cm) wide. 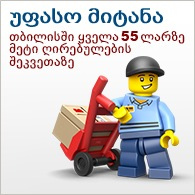 Batski measures over 1” (4cm) high, 3” (9cm) long and 2” (6cm) wide. Killer Croc™ stands over 3” (9cm) tall.